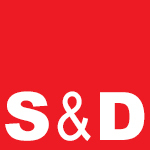 S&D patent litigators have handled disputes in fields such as biotechnology, pharmaceuticals (including ANDA-related litigation), medical devices, semiconductor manufacturing, television set-top boxes, internet and email related technologies, factory automation, oil drilling, water treatment and purification, electrical components and fiberglass boat manufacturing. Our patent litigators combine mastery in trial advocacy, an in-depth knowledge of patent law, an aptitude for science and technology and a focus on our clients’ business objectives. We represent clients in enforcing their patents, defending against claims of patent infringement, and disputes concerning inventorship and ownership of patents, and patent licenses. In every patent case, our litigators either have the necessary technical knowledge or work closely with patent specialists who have such technical knowledge. Our attorneys hold technical or scientific degrees in fields such as computer science, electrical engineering, mechanical engineering, chemistry, chemical engineering, physics, nuclear engineering, microbiology, molecular biophysics and biochemistry. We have experience in all aspects of patent law, including patent preparation and prosecution, clearance opinions and interference proceedings, and portfolio management. Our approach to patent litigation makes it easier for our clients to transfer complex technical information to our attorneys and enables us to present that information to judges and juries in a simple and persuasive way. S&D attorneys’ combination of extensive trial experience as lead counsel in litigation before state and federal courts, as well as unique trial experience within the U.S. Patent and Trademark Office, can help clients take advantage of, and respond to, inter partes review (IPR). Our attorneys also advise clients on the merits and desirability of instituting parallel proceedings before the USPTO as well as with regard to defending their patents during these proceedings. S&D has represented clients in a wide range of technology and life sciences areas, including Hatch-Waxman matters, as IPR remains a viable option for generic drug companies to challenge asserted patent claims.